Could dental therapy improve access to care in Michigan? Senate Bill 1013 could introduce dental therapists to dental teams in Michigan. There’s been growing awareness that dental health isn’t just about appearance and avoiding cavities. It’s also essential to overall health. For instance, poor oral health has been tied to cardiovascular disease, respiratory infections like pneumonia, diabetic complications and dementia. This means it’s crucial to bring dental care to areas and populations that are underserved by dentists. Some think Senate Bill 1013 could be the way to do that in Michigan. The bill was introduced earlier this summer by Sen. Mike Shirkey (R-Clark Lake). It’s modeled after a program in Minnesota that set up a midlevel dental professional called a dental therapist. Dr. David Gesko is a dentist in Minnesota. 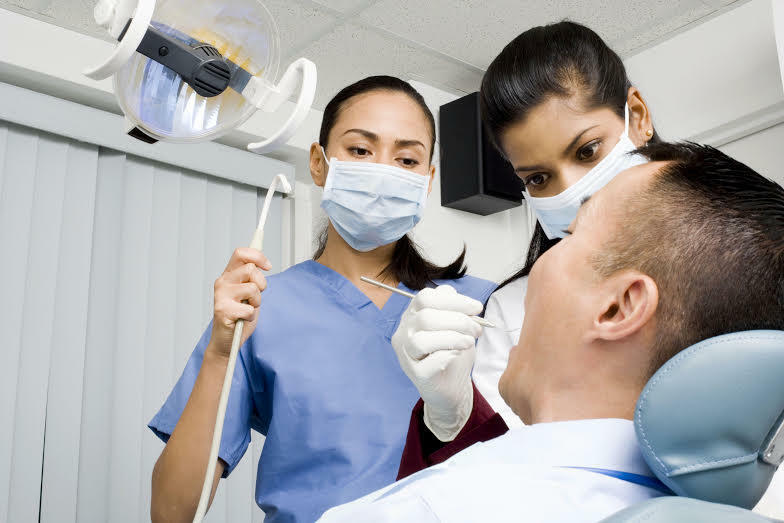 He said in his state, dental therapists are to dentists as physician’s assistants or nurse practitioners are to doctors. “This allows us to be able to deliver care at a lower cost model, but at a very high quality level," Gesko said. "It’s the same quality – the training of dental therapists is equivalent in their scope of practice to what a dentist gets." On the other side of the coin is Bill Sullivan with the Michigan Dental Association. The MDA is squarely against the idea of dental therapists, and opposes Senate Bill 1013. Sullivan said one reason for that is the MDA doesn't think dental therapists are needed to bring dental care to underserved populations. Listen above to hear the full conversation. David Gesko is senior vice president of Health Partners in Minnesota. He's also a past president and current member of the Minnesota Board of Dentistry. Bill Sullivan is vice president of Advocacy and Professional Affairs for the Michigan Dental Association.